Looking for a little entertainment with your meal? 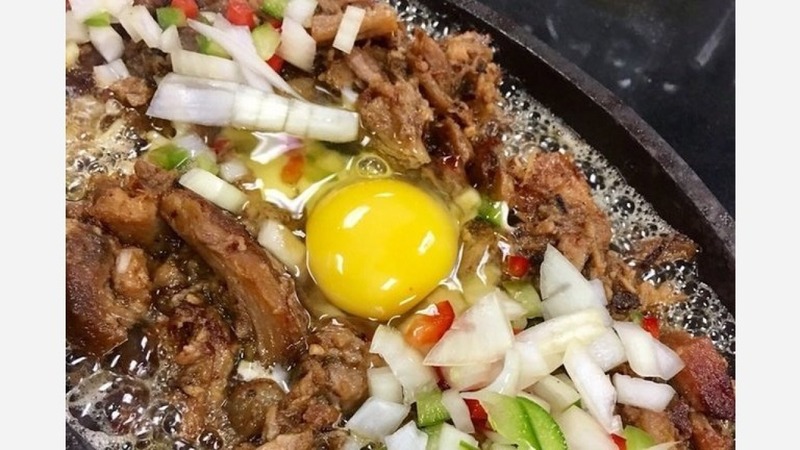 A new neighborhood Filipino spot has you covered in Westlake. Called Chibogs, the fresh arrival is located at 1925 W. Temple St., Suite 103, and features karaoke and comedy performances on weekends. On the menu, customers will find homestyle Filipino dishes like kare-kare (oxtail stew with peanut sauce), pork belly sisig, and sinigang na hipon (shrimp in a Tamarind-based sour soup). Diners can finish the meal with deep-fried bananas served with ube (purple yam) ice cream. With a five-star rating out of five reviews on Yelp so far, Chibogs seems to be a welcome addition to the neighborhood. Lorelle B., who was among the first Yelpers to review the new spot on May 12, said, "Every dish is made fresh. The staff is very helpful and friendly. The ambiance is a karaoke and comedy bar so you will have entertainment while enjoying your delicious meal." And Nathan D. said, "The food was really good Filipino food and the service was warm and welcoming. My favorite was the bagoong rice and the fried chicken."